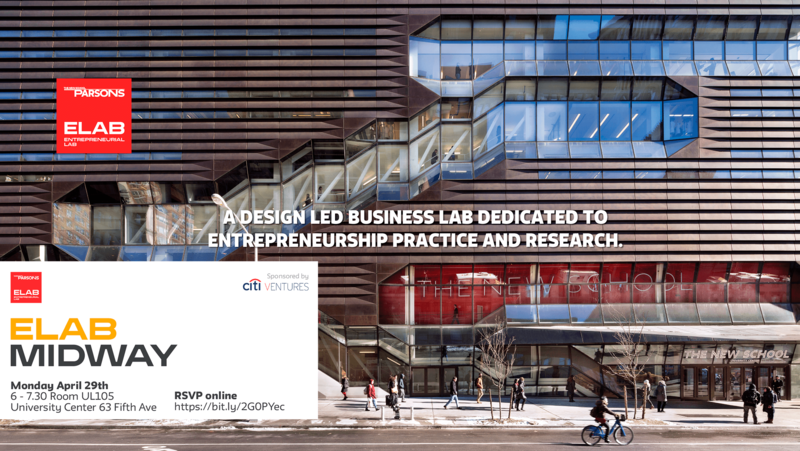 We are excited to announce that ELab has partnered again with the DO School and 10 other NYC higher education institutions to run a landmark program within New York City’s higher education landscape for the third time in 2018: Innovate NYC. Are you passionate about social change and developing the skills necessary to turn your ideas into action? Innovate NYC empowers NYC university students through a learning-by-doing approach by solving real-world problems. Rhea Alexander, director and founder of ELab, serves on the board of advisors and is a founding member of Innovate NYC in the consortium of universities. 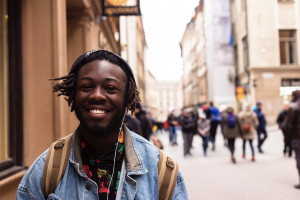 This program offers students from the participating universities and colleges a unique opportunity to launch their careers as change makers within their communities and learn invaluable entrepreneurial skills. Through a co-creation method, together with 19 other participants, you will tackle a real-life challenge set by Youth INC and HERE to HERE: The​ ​Future Pathways​ ​Challenge. The Future Pathways Challenge will ask fellows to create a solution that will set 10,000 young people on their paths towards a family sustaining career in NYC. The education to employment gap has received a lot of attention over the last few years. 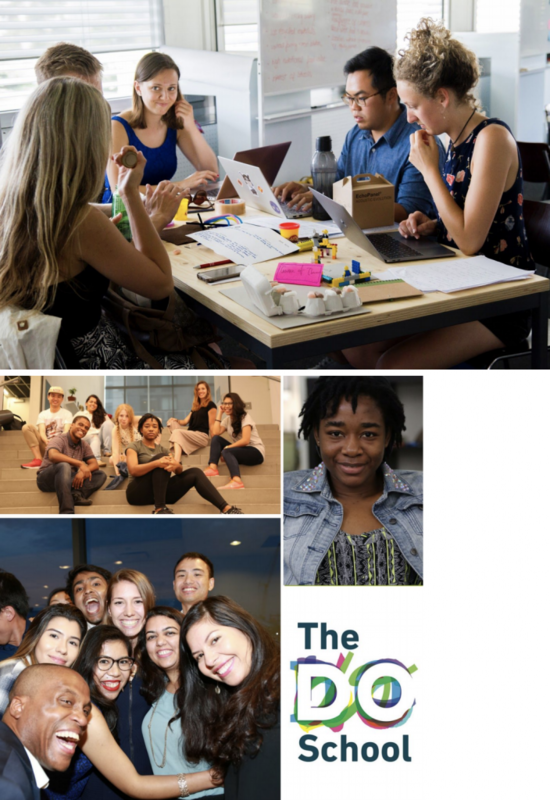 2018’s Challengers HERE to HERE and Youth INC ask you to explore this and develop an integrative solution that will support HERE to HERE’s mission to set 10,000 young people on their paths towards a family sustaining career. 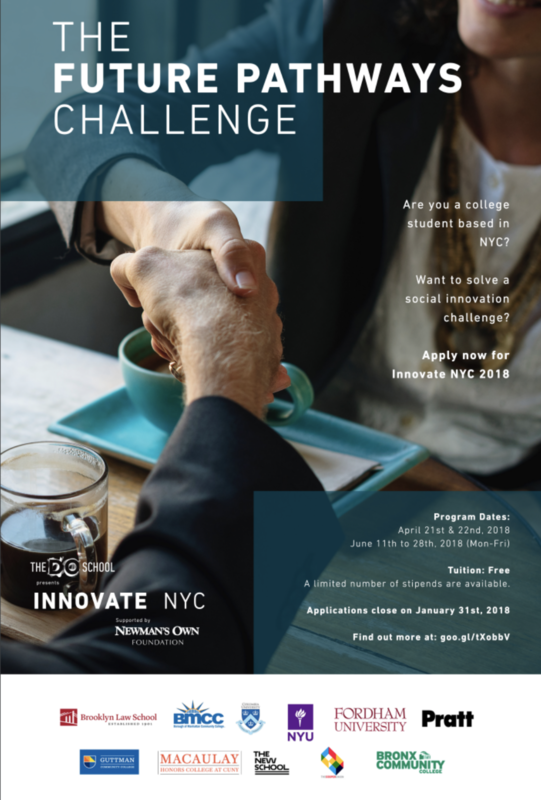 You and 19 other students from 10 universities across New York City will look at this challenge from student perspective and explore what companies need to do differently to better attract, develop and retain youth from under-resourced communities so that they may persist and succeed in the workforce and build a family sustaining career. Read more program details on their website. Applications are due on January 31st, 2018. Questions? Commentary? Contact the ELab!